Powers: He can generate electricity from his body and has limited flight capabilities. 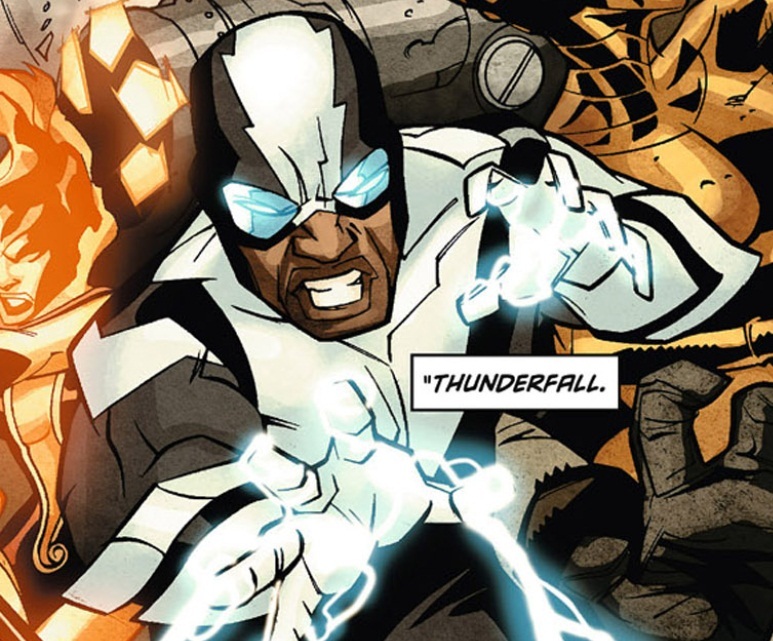 He was a founding member of the original African Superhero team “The Kingdom” and friends with fellow members including Earth Strike and Dawnfire. After retiring from heroics he became a school teacher. It was here that he battled Massacre who was trying to kill him and met Batwing. He loses an arm in the battle and suffers sever blood loss while saving Batwing. He died soon after Batwing took him to the hospital. How many electricity based black HEROS is there?! ?